Honda, the brand Jamaica knows and trusts. The HR-V was designed to over-accommodate with seating for five, copious amounts of cargo space and features that has convenience covered. Loaded with features such as Display Audio interface, touch based automatic climate control, steering wheel mounted controls, electronic parking brake and brake hold to name a few, the HR-V ensures you’re always in control. Sporty, spacious and practical, the Honda HR-V keeps you and your passengers comfortable at the perfect temperature, and it’s easy with Automatic Climate Control adjustment and a touch-based interface. This interior was designed to accommodate – From five passengers to copious amounts of cargo space,* the inside of the HR-V includes multiple configurations, such as 60/40 Split 2nd-Row Magic Seat® functionality, so you’ll have room for more than just the essentials. * Plus, fold the rear seats flat for as much as 58.8 cu. ft. of cargo space – plenty to help with a move or to fit a variety of materials. The distinct lines on the exterior of the 2018 Honda HR-V crossover will point you toward adventure whether your wheels are on the ground in the city or navigating through the countryside. The exterior features a dark, aggressive grille that includes a tasteful chrome accent which makes a lasting first impression. 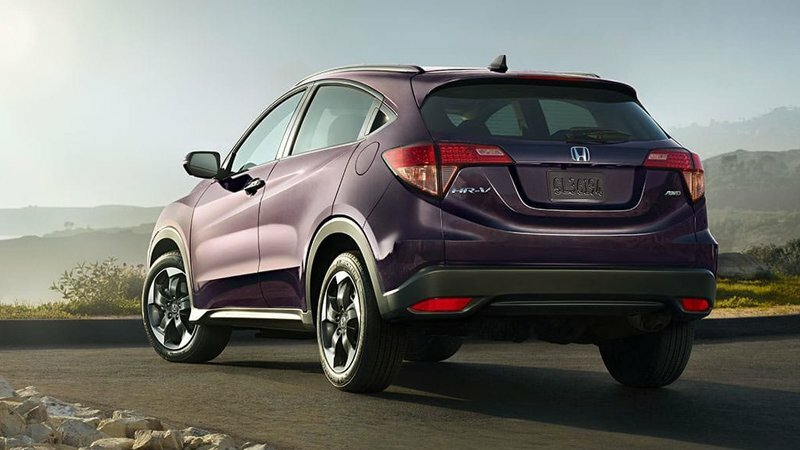 With its ideal ride height and unique, sporty profile, the Honda HR-V is stunning from every angle. Each HR-V comes backed with 3 years/100,000 km warranty and renowned Honda reliability. *Terms & Conditions: Valid while stocks last. Photos shown are representational. Monthly payments are calculated through ATL Automotive Finance at 7.49% interest rate with 96 months to repay and 90% financing.